An onslaught of ultimates, rebuffed by a lineup featuring some of South Korea’s best. This weekend’s Overwatch World Cup qualifiers hosts some strong international talent, but South Korea has been dominating their group stage matches so far. It’s little surprise, after last year’s South Korean squad took first in the World Cup in an undefeated sweep of the playoffs, but this year’s lineup is already looking to do more of the same. 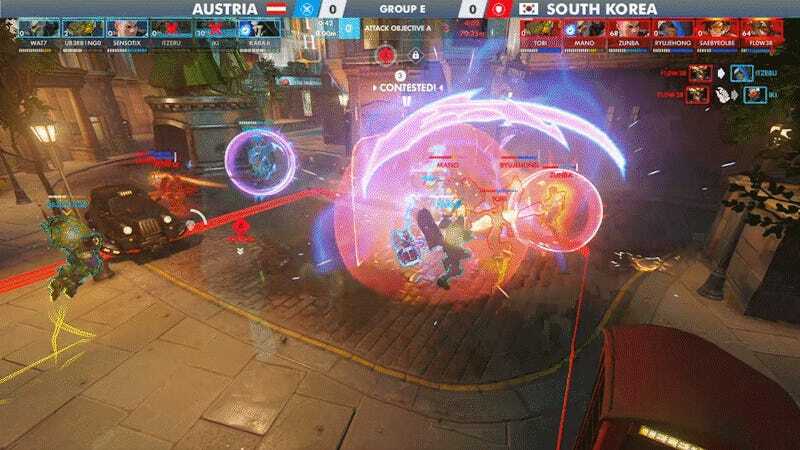 In one of today’s matches, Austria was on the offensive against South Korea and started storming the first point of King’s Row with a devastating combination of ultimate abilities. South Korea’s adaptation to this assault is quite impressive. 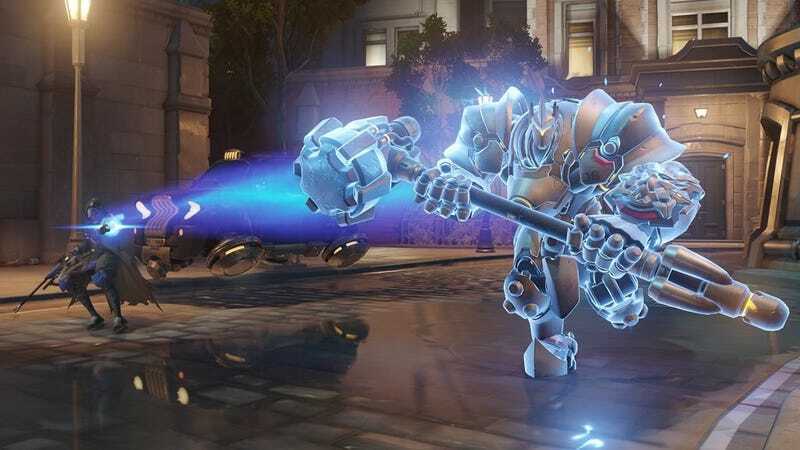 Austria rolled onto the point with Reinhardt’s Earth Shatter, knocking South Korea down, then a Graviton (black hole) to keep them stuck together while Ana’s Nanoboost soups up Reinhardt. 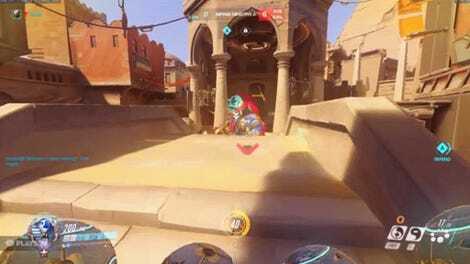 A few swings of the hammer and it’s over, and if the hammer doesn’t work, Reaper has Death Blossom charging. It falls apart almost immediately though, starting with Ryu Je Hong’s own Ana play, sleeping the Reinhardt before the Graviton even lands. It happens in a split-second, but burns precious time that Austria’s Patrick “Wat7" Marwal could be spending hammering away. Marwal gets back on his feet and in the face of South Korea, only for a “boop” from Lucio and then South Korea’s own Earth Shatter keeping him at bay. 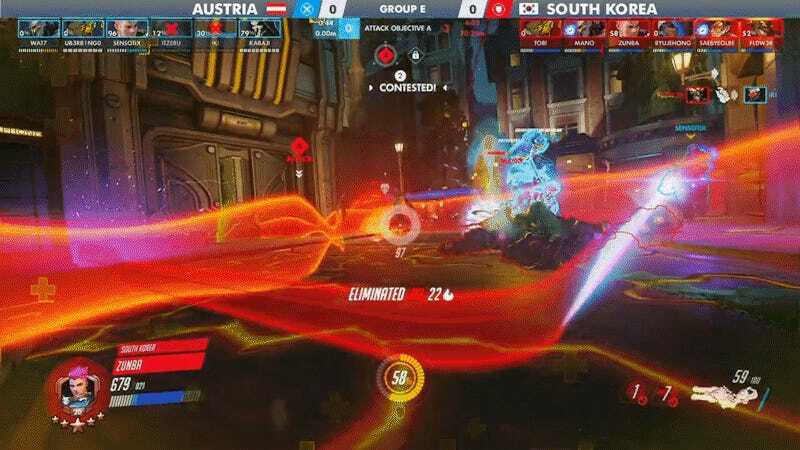 All the while, South Korea’s damage dealers are pushing the rest of Austria off the point, making them struggle to take advantage of their advantageous position. Reaper, whose Death Blossom was charging, is taken out by a well-placed Pulse Bomb, and both Austria’s Soldier 76 and Ana died in the lead-up. 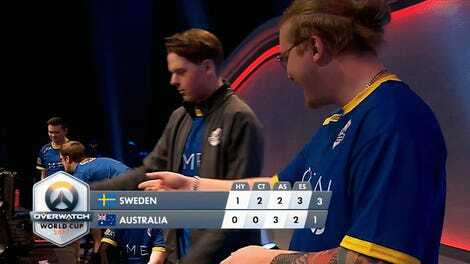 South Korea rebuffs the offensive and takes the game, adding another clip to their highlight reel for the weekend. Games are closing out today but will continue tomorrow, as the competition whittles down the qualifier to two teams who will travel to BlizzCon for the main event. No doubt we’ll see South Korea among them.